Tired of Being a Landlord in Greenville? Stop dealing with those awful tenants and get cash for your Greenville house instead! Tired of Being a Landlord in Greenville? Here’s the Problem. Forget being a landlord in Greenville. You can sell the house fast, as-is! The expenses don’t end with monthly management fees, however. Property management groups are also known to overcharge for simple repairs. A leaky faucet can turn into a several-hundred-dollar call to a plumber. A loose floorboard can cost the landlord thousands when the management company hires an outside contractor. Without a keen eye, property management companies can take advantage of your hands-off approach. Dealing with tenants is one of a landlord’s most burdensome duties. When hiring property management groups you trust them to deal with high-maintenance renters. Yet, property management often doesn’t know what to do when tenants tear up your house. Large property management companies have competing priorities concerning handling your rental home. These management companies will be juggling multiple landlords and their properties. 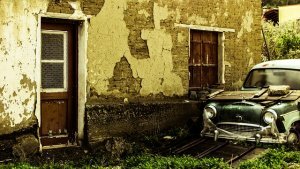 They’ll often mishandle or neglect your property due to the sheer volume of complaints. Are they a 24-hours group? If not your tenants will be neglected during after-hours. Instead, they’ll call you with emergencies. “Be prepared for calls in the middle of the night,” warns Forbes’ Harlan Landes. Property management companies can be an expensive, unreliable option for maintaining your rental property. Selling your home might be your best option when you’re tired of being a landlord. Most sellers consider using a realtor when selling their property. But, many real estate agents have a hard time selling a house with tenants. If selling your property is the best option when you’re tired of being a landlord, how do you sell your house most efficiently with tenants? In many circumstances, selling to a house buying company is the best option. Utilize the offers made by a house buying company. It’ll often give you the simplest and least stressful solution to many property problems. You don’t have to worry about selling a house with a valid lease agreement when selling to a house buying company! House buying companies have the expertise to handle even the stickiest lease agreements. They allow you to close quickly and move on to better investment opportunities. Selling to a house buying agent also ensures your tenants will have a hassle-free transition from seller to a buyer. This is especially great if you’re related to the existing tenants, a common occurrence for landlords. 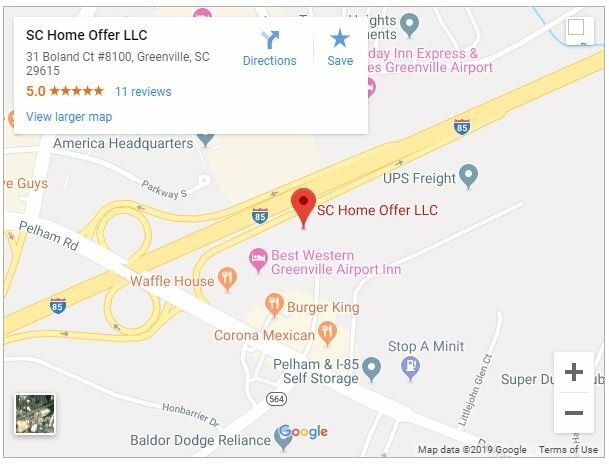 SC Home Offer LLC gives you a cash offer within one day and you can close whenever works best for you. You can have your Greenville house sold in a week!